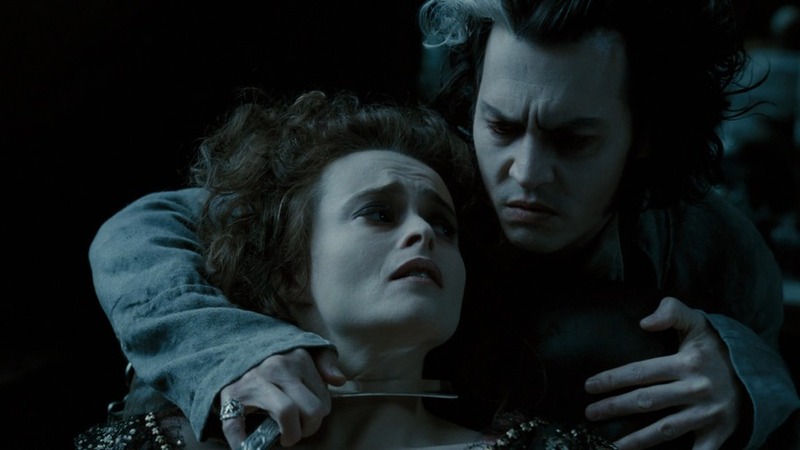 Tim Burton week concludes with one of my favorite films of 2007, Sweeney Todd: The Demon Barber of Fleet Street. This was a dark, violent musical adaptation of the stage play, but gloriously entertaining in all its bloody excess. The sets and costumes were superb as always (it even won the Oscar for art direction), and Johnny Depp was nominated for Best Actor for his performance here. Of course, the singing is not what it was on stage, but the music is still terrific in spite of that. I don't understand why it's not even considered thinkable anymore to have your voice dubbed if you can't sing- Helena Bonham Carter was good in the movie, but she really can't sing, so why isn't that a possibility? Aside from that though, this was a fantastically fun movie that pays tribute to a lot of silent horror movie classics with Burton's unique visual style. One of his best. October 25, 2013 by Ariel Shavonne.